Carman was born in New Jersey where he grew up in an Italian home full of music and laughter. As a boy, Carman played the drums and the guitar, and he began singing in his teenage years. As his career developed, Carman played clubs then went on to Las Vegas. It was after seeing an Andrae Crouch concert that Carman gave his life to Jesus Christ and embraced his new found faith in the living Savior. After five years of ministerial preparation, he moved to Tulsa, Oklahoma where he began to develop his ministry headquarters for a worldwide outreach. During the next two decades Carman changed the face of Christian music and evolved contemporary evangelism into what it is today. Carman established "Carman World Outreach," a non-profit organization that helps touch the lives of literally millions of people worldwide. Billboard Magazine recognized Carman's influence in Christian music by first naming him "Contemporary Christian Artist of the Year" in 1990. He has received numerous gold and platinum albums and videos. Even with all this success, the heartbeat of this Champion for Christ continues to beat strong for the souls of people who need Jesus. As an outflow of this passion, Carman had more than 50,000 people attend his "Music for Peace" crusade in Johannesburg, South Africa. These numbers topped the charts as his largest concert crusade ever, until more than 70,000 people packed the legendary Texas Stadium, making it the largest Christian concert in history. 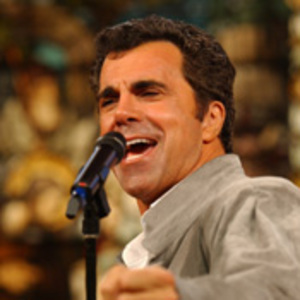 For over 26 years, Carman has entertained, encouraged and preached the Gospel to millions-crossing denominational, cultural and ethnic lines. During this time, he has never compromised the call to take the Gospel to every person. This vision still remains the hallmark of his life and ministry.